Large Stainless steel fastener distributors cater to the high demand popular stainless steel fastener products; companies who advertise on this page have a stainless steel fastener niche that gives them a market advantage. 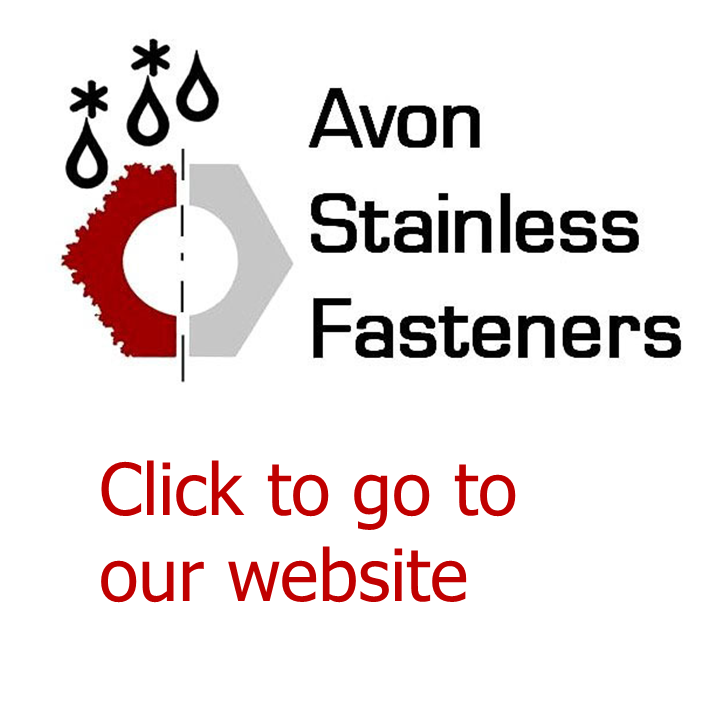 If you need difficult to find stainless steel fastener products these are the fastener companies to contact. Stainless steel, also known as inox from French "inoxydable", is a steel alloy with a minimum of 10.5% chromium content. Stainless steel fasteners do not easily corrode, rust or stain in clean water environments as ordinary steel does, but despite the name, is not stain or rustproof; notably under low oxygen, high salinity, chemical or poor circulation environments. There are different grades and surface finishes of stainless steel fasteners to suit the environment the alloy must endure. Stainless steel fasteners are used where both the properties of steel and corrosion resistance are required. 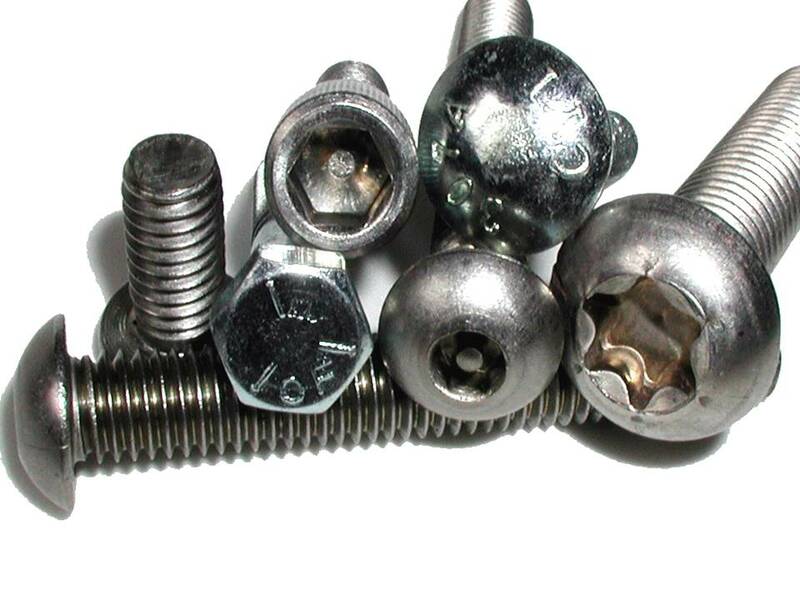 Stainless steel fasteners differ from carbon steel by the amount of chromium present. Unprotected carbon steel fasteners rust readily when exposed to air and moisture. This rust that is an iron oxide film is active and accelerates corrosion by forming more iron oxide, and due to the greater volume of the iron oxide, this tends to flake and fall away. Stainless steel fasteners contain sufficient chromium to form a passive surface film of chromium oxide, which prevents further surface corrosion by blocking oxygen to the steel surface and blocks corrosion from spreading into the stainless steel internal structure. Due to the similar size of the steel and oxide ions, they bond very strongly and remain attached to the surface. The outer layer (passivation bonding) only occurs if the proportion of chromium is high enough and oxygen is present. Free machining quality (contains sulphur). Good corrosion resistance and weldability are fair, but oxy-acetylene is not generally recommended. Can be cold formed but severe sharp corner bends should be avoided. General purpose stainless, machineability is fair, has good general corrosion resistance, weldability is good. (Oxy-acetylene is not generally recommended). Cold forming is very good; also has good polishing qualities. Non-magnetic when annealed, slightly magnetic when cold worked. High corrosion resistance, especially salt water and acid. Machineability fair. Weldability good. Cold forming good. Non-magnetic when annealed, slightly magnetic when cold worked. Good corrosion and oxidisation resistance. Weldability very good, machineability fair. Cold forming good. Non-magnetic when annealed, slightly magnetic when cold worked. These steels which commonly contain 13% Chromium, have the least general resistance to corrosion of the steel family and can, therefore, be used where corrosive conditions are relatively light. A typical example would be cutlery. The most common ferritic steel is 430S17 containing 17% chromium and this offers improved resistance to corrosion over martensitic steels. Although not up to the standard of austenitic steels it can be used for motor vehicle trim, and domestic decorative fittings on refrigerators, gas cookers. A group of steels which are by far the most important and consequently the most widely used. The 18/8, A2 type of steel resists corrosion under a wide range of circumstances and is typically used in food, dairy, brewery and other processing industries, together with certain kinds of chemical plant. Molybdenum can be added to 18/8 and A2 types of stainless steel to give even more enhanced corrosion resistance, type 316 steel fasteners containing between 2.0% and 3.0% of molybdenum are principally used in the chemical and petrochemical industries where resistance to corrosion media containing chlorides is required. The point should be made, that even these steels are not immune to all kinds of chemical attack from such reducing solutions as hydrochloric or oxalic acid, particularly when these acids are hot or highly concentrated. The basic austenitic composition is the familiar 18% chromium and 8% nickel alloy. Both chromium and nickel can be increased to further improve corrosion resistance and additional elements, such as molybdenum, can be added to enhance this characteristic. Austenitic steels are non-magnetic and it is not possible to harden them by heat treatment. The only method of hardening these steels is through cold forming or deformation when strain hardening takes place rapidly. This steel can be restored to a fully softened condition by annealing.